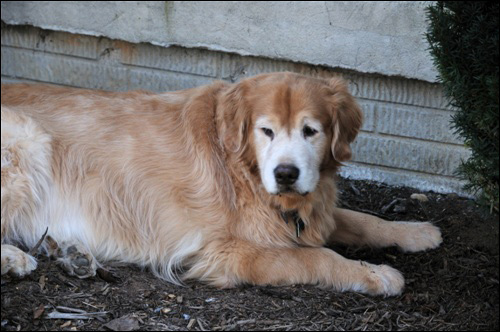 Andrew was a typical Golden, a more than loving companion who gave us his all. And he was the biggest actor, comedian, con artist, sneak thief of socks and underwear and spoiled rotten! There wasn’t a day that went by that he didn’t make us laugh at his antics. You were a faithful, true friend. Much as it hurts to have had to let you go, it was the final kindness we could offer you to relieve your pain. We miss you terribly.